Subscriber numbers to ‘over-the-top’ (OTT) TV services such as Netflix and Amazon Prime will increase from 92.1 million in 2014, to 332.2 million globally by 2019, according to new research. New data from Juniper Research has shown that continued growth in the North American market will see it remain as the leading region in terms of subscriber numbers, but closely followed by the Far East, as this region emerges with new services and increased consumer interest. In its latest research, Mobile & Online TV & Video: OTT, IPTV & Connected Markets 2015-2019, Juniper found that consumers will favour connected TVs as their primary screen, especially when one considers the trend for watching long-form video on OTT subscription services. 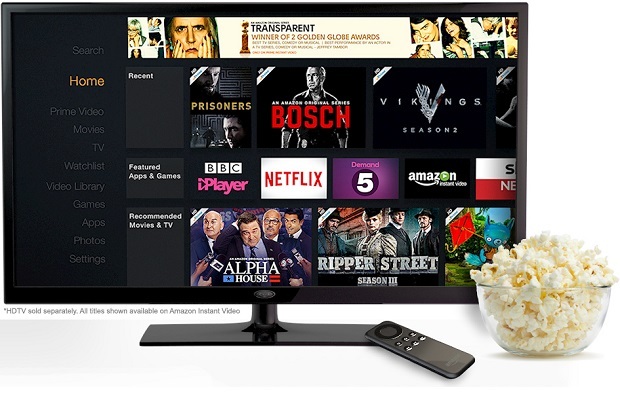 The research observed that with the long lifecycle of TV’s, previously ‘dumb’ TVs will see an upsurge in becoming ‘connected’ due to the cost-effectiveness of devices such as Chromecast, and Amazon’s Fire TV Stick, as well as the high uptake of games consoles and STBs which provide preloaded services. This is in contrast to smart TVs which currently offer poor operating systems and user interfaces. Traditional service providers cannot afford to cower behind the sofa. For example, the threat from OTT services has notably forced Verizon’s hand into bundling cheaper packages, minus sports channels. This has led to incumbents arguing amongst themselves, as well as enraging the sports TV providers ESPN and Fox Sports. Meanwhile, OTT players continue to strengthen their market position. •	Ad spend on ‘Video on Demand’ is to grow almost fourfold by 2019, with the Far East and China dominating the market by the end of the forecast period. •	IPTV subscriber numbers are forecast to grow by over 70% between 2014 and 2019. The whitepaper, OTT ~ A Threat Networks Can’t Shake Off, is available to download from the new Juniper Research website together with further details of the full research and interactive dataset.